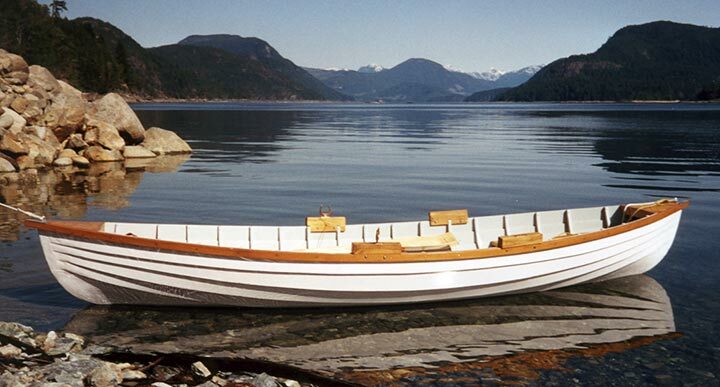 Thomas Mayenburg built this 12' 8" car-top Modified McInnis Bateau with his brother and a friend. 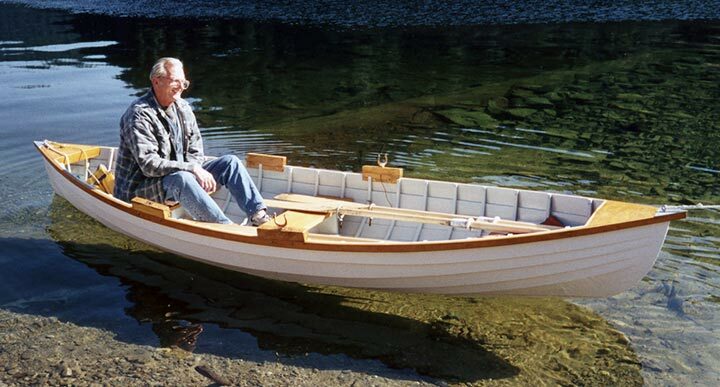 The design is from John Gardner's Building Classic Small Craft, Vol. 2. They used 3/8" plywood on the bottom, and 3/8" red cedar strakes. The stem and frames are west coast hemlock, with runner, wales and seats made from old growth fir. The decks are bird's eye yellow cedar on plywood backing. Thomas named his boat SHAUNTI meaning 'peace'. By 2002 he had rowed her more than 1000 miles since her launch in April 2001.